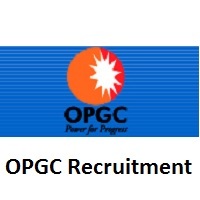 OPGC Recruitment 2019: The higher officials of Odisha Power Generation Corporation Limited had released the notification for filling 17 Manager Posts. Candidates who are interested in OPGC Recruitment 2019 can make use of this article. We had provided the complete details about Odisha Power Generation Corporation Limited Notification 2019. Aspirants who are willing to apply for opgc.co.in Manager Jobs 2019, they can apply from 16th January 2019 to 26th January 2019. In the following sections, we provided information about educational qualification, post wise vacancies, and age limit. At the end of this page, we had provided the notification of OPGC Recruitment 2019 from our site or can also from the official site of ଓଡିଶା ପବେର ଜେନେରେସନ କର୍ପୋରେସନ. In this following table, we had provided educational details to the specific designation. Assistant Manager (Chemists)OPGC-II (2X660MW) Bachelor’s Degree in Chemical Engineering / MSc in Chemistry with minimum 60% of marks. MBA in Environment Management will be preferred. Sr.Asst. Manager (Operation) Degree in Mechanical/ Electrical/ Instrumentation Engineering with minimum 65% marks and the diploma from NPTI/ CEA approved training institute & BOE certificates shall be preferred. After completely knowing the details of educational qualification, competitors can go through official notification of OPGC Recruitment 2019. In that, you can also get information about age relaxation. Candidates who are interested to apply for OPGC Recruitment 2019 can know details about the selection process. The selection process will comprise of Telephonic Interview (if need be) and Personal Interview of shortlisted candidates. Candidates can know the salary details after understanding the selection process information. Compensation will be on Cost to Company (CTC) pattern and shall be inline with the industry. For more information, you can visit the official notification of OPGC Recruitment 2019 for 17 Manager Posts which is provided at the end of this article. Refer the OPGC Recruitment 2019 Notification for fee details. Firstly, candidates who are interested in OPGC Recruitment 2019, they must visit the official site of Odisha Power Generation Corporation Limited that is opgc.co.in. Then you will get the home page of Odisha Power Generation Corporation Limited. In that page, move to the Careers section which is at top of the home page. Then in that, go to the Current Openings part. In that scroll down and click on view current job openings. You will get the OPGC Recruitment 2019 notification then thoroughly study and understand it. If you are eligible, then apply through online. Take two or more copies of OPGC Recruitment 2019 application for further reference. In this article, we had provided complete details about OPGC Recruitment 2019 Notification for 17 Manager posts. For more information about OPGC Recruitment 2019, Applicants can visit our site Sarkari Recruitment. From our site candidate can also get information regarding any state and central government jobs. You can also get more details about admit cards, results, syllabus, previous papers from our site. Competitors having any queries about this article, they can leave us a comment in the following box.